Contrary to belief, citrus fruits do not contain the highest amounts of vitamin C. Broccoli, peppers, potatoes, and brussels sprouts contain higher amounts of vitamin C. Exposure to air destroys vitamin C, that is why it’s important to use these fresh vegetables and fruits as quickly as possible. For example, sliced cucumbers left standing lose as much as 49 percent of the vitamin C content within three hours. A salad bar may be a healthier choice, but only a fraction of vitamin C is consumed compared to fresh sliced vegetables. Ascorbic acid is the most widely used form of vitamin C. In recent years a “superior” form of vitamin C came into being known as Ester-C. Manufacturers of Ester-C make the claim that it absorbs better due to the esters (repeating chains) of the vitamin C. Absorption studies do not indicate the body absorbs it better. To justify paying up to three times more for Ester-C the absorption would have to be close to three times the absorption and the research does not support the case. Taking vitamin C with bioflavonoids may offer the best absorption benefits, but only at a meaningful level. In order to get the greatest benefit to vitamin C, bioflavonoids would have to be equal or greater to the amount of vitamin C per dose. Scurvy is a severe vitamin C deficiency that primarily affects those in Rome, Greece, and Egypt. Symptoms of scurvy are bleeding gums, poor wound healing, extensive bruising, and more susceptible to infection. In 1742, British physician James Lind may have been the person that linked scurvy to a dietary deficiency. When giving citrus fruits like lemons to his scurvy patients, they healed remarkably faster. Little did Dr. Lind know it was the vitamin C in the lemons that prevailed the deficiency. It wouldn’t be until 1928 that vitamin C was isolated in its ascorbic acid form. The primary benefit of vitamin C is its manufacturing capabilities of collagen, the main protein substance found in the body. Vitamin C assists in joining the amino acid proline to form hydroxyproline. The result is a stable collagen structure. Collagen is what holds our body together, from connective tissue to cartilage and tendons. Vitamin C is vital for wound repair, healthy gums, bruising, and may be a natural chemical detoxifier. It is widely debated whether vitamin C directly aids in fighting a cold or flu. We do know from a biochemical view there is overwhelming evidence that it enhances white blood cell function and activity, increases interferon levels, antibody responses, antibody levels, and secretion of thymic hormones. 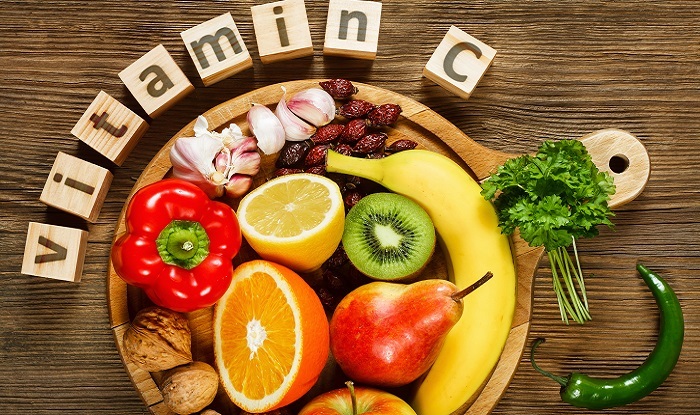 In times of stress (physiological, chemical, emotional, or psychological) the renal system excretes vitamin C at an excessively higher rate, thereby elevating the body’s need for vitamin C intake during these times. Vitamin C works as an antioxidant in the water environments of the body, inside and outside of the cells, making it the first line of antioxidant protection in the body. Vitamin E and beta carotene are the primary antioxidant partners to vitamin C because they are fat-soluble. Vitamin C works along side antioxidant enzymes such as glutathione peroxidase, catalase, and superoxide dismutase. It can also help regenerate oxidized vitamin E in the body henceforth potentiating the antioxidant benefits of vitamin E.
Customers are bombarded with “the next great antioxidant supplement.” When doing a side-by-side comparison to a “super antioxidant” product and vitamin C, vitamin C is superior in cost and benefit. When combining vitamins C and E, selenium, and beta carotene together, they work more effective than as an individual antioxidants. An interesting fact about vitamin C is that animals manufacture their own whereas the human body does not.